Usually everyone will make the chutney with some variation according to the regional and individual too... 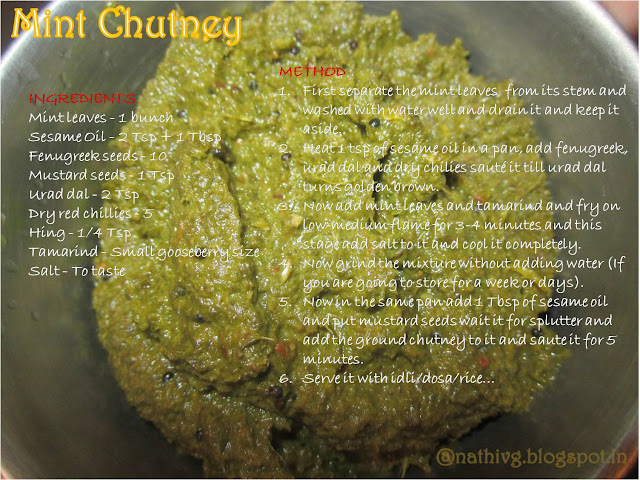 So here is the my version of Mint chutney which is very flavorful and greeny... Which is greeny means its healthy too, isn't? I got a big bunch of mint leaves, so decided to do the chutney... Here I won't add onion, garlic and coconut which is purely mint chutney without any other veggies... Mint chutney will suitable for idli, dosa even chapathis too... It is mostly used in chat items as a dip. Soothing and digestive tract and if you are having stomach ache then it can be great help. Drinking herbal mint tea reduces irritated bowel syndromes, cleanses the stomach and also clear up skin disorders such as acne. Mint acts as a cooling sensation to the skin and helps in dealing with skin irritations. It reduces the growth of bacteria and fungus in the body on regular intake. First separate the mint leaves from its stem and washed with water well and drain it and keep it aside. 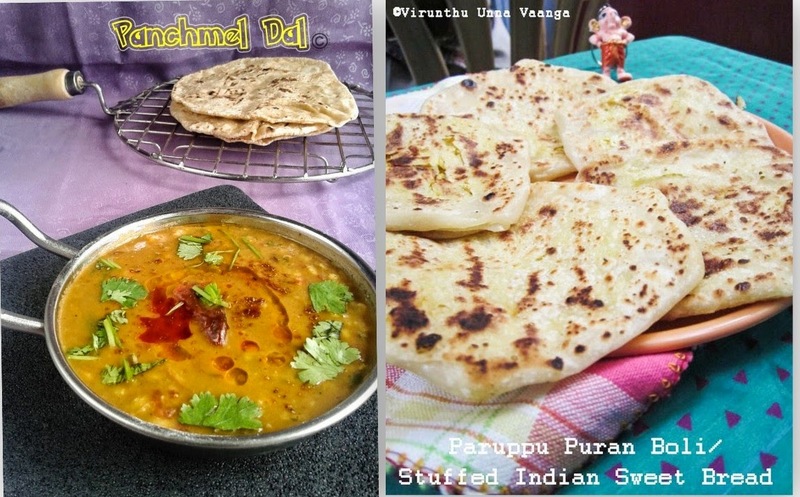 Heat 1 tsp of sesame oil in a pan, add fenugreek, urad dal and dry chillies saute it till urad dal turns golden brown. Now add mint leaves and tamarind and fry on low-medium flame for 3-4 minutes and this stage add salt to it and cool it completely. Now grind the mixture without adding water (If you are going to store for a week or days). Now in the same pan add 1 Tbsp of sesame oil and put mustard seeds wait it for splutter and add the ground chutney to it and saute it for 5 minutes. A VERY HEALTHY AND YUMMY DIP!!! 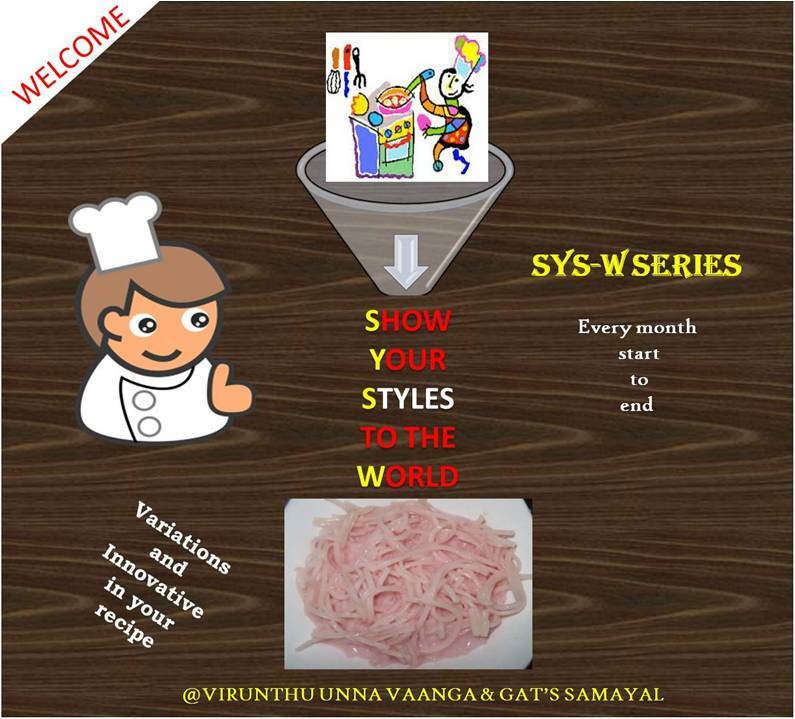 I INVITE YOU ALL TO PARTICIPATE ON THE INTERESTING SERIES!!! Lipsmacking chutney I just add 2 pods of garlic whilst frying. So yummy. 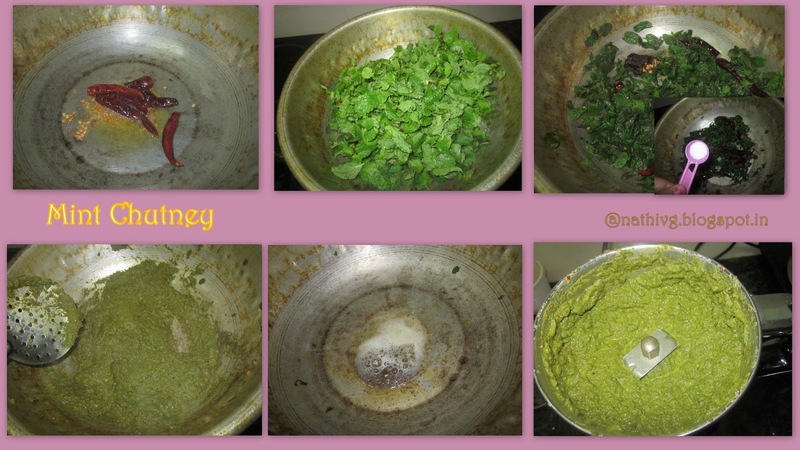 Healthy n flavorful dip!!! yummy preparation!!! 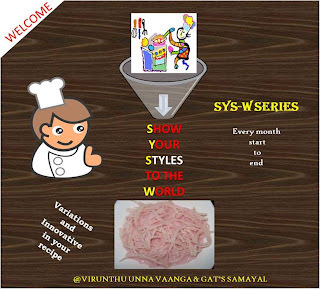 Nice flavorful chutney dear.. btw I can recognize this template, I downloaded it too so I can use it..New look of ur blog looks good Viji :) Happy Birthday dear!! Lipsmacking good chutney. You may use it in chaat items too. never added fenugreek seeds in mint chutney.. must be delicious viji..
Love the mint chutney. It is nice aroma taste. Delicious....looks very yummy and tangy!!! 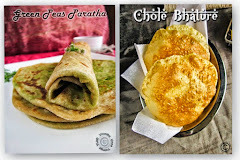 Mint chutney is my fav one...this sounds very flavorful and yummy, great with hot idlis,mmm!! perfect color and i love the aroma and flavor of the mint chutney!!! 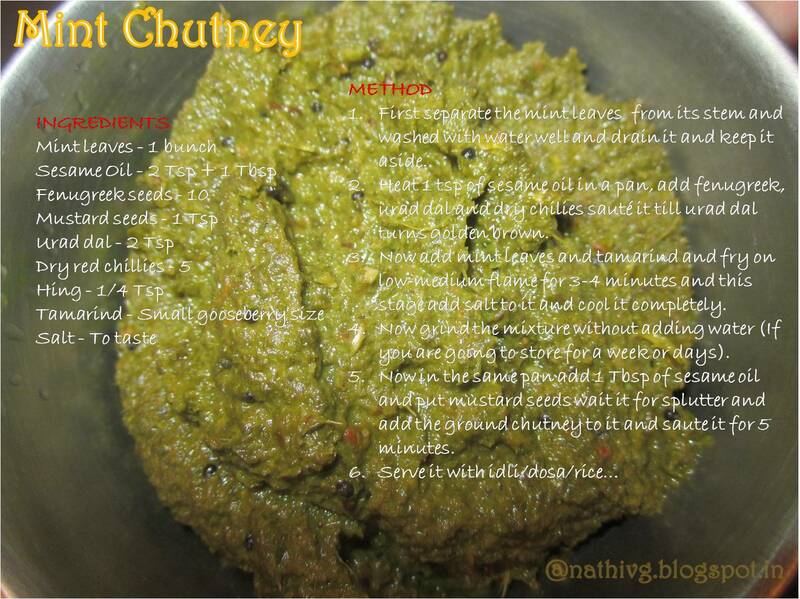 I love mint chutney.yours look yummy and tasty.